On The Conners Season 1 Episode 11, Darlene made a decision about her future with Ben. Watch the full episode online right here via TV Fanatic. 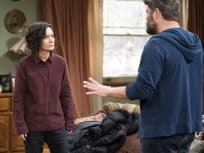 On The Conners Season 1 Episode 11, Darlene grapples with an offer from Ben, after an unexpected conversation with David turns her world even more upside down. "Don't Shoot the Piano Teacher"
On The Conners Season 1 Episode 10, Jackie throws Becky a baby shower and Ben offers Mark free piano lessons, and Darlene uses it to test his parenting skills. On The Conners Season 1 Episode 9, Dan gets injured covering D.J.’s vending machine route and the choice to sue the company could lead to D.J. getting fired. "Oh Sister, Where Art Thou?" 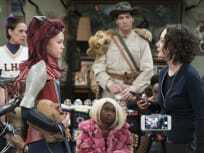 On The Conners Season 1 Episode 8, Becky helps Harris keep a secret from Darlene, which opens up a can of worms that causes a rift between the two sisters. On The Conners Season 1 Episode 7, Darlene receives dating advice from an unlikely source while Dan questions Jacky's unemployed new beau's motives. 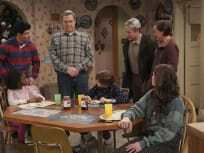 On The Conners Season 1 Episode 6, Jackie convinces Dan to build a chicken coop in the yard and Becky meets with Andrea for the first time since the surrogacy. On The Conners Season 1 Episode 5, Dan worries Becky isn't sticking to her end of the deal when it comes to her drinking and someone has life-changing news. 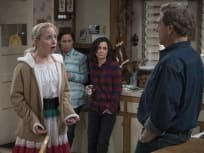 "The Separation of Church and Dan"
On The Conners Season 1 Episode 4, Jackie, Darlene, and Becky are concerned with the way Dan is grieving Roseanne and try to help him move forward. On The Conners Season 1 Episode 3, when the school bans certain costumes for Halloween, including Mark's, it sets off an argument between Dan and Darlene. On The Conners Season 1 Episode 2, Darlene gets a big surprise when David introduces his new girlfriend to her at a parent-teacher conference. 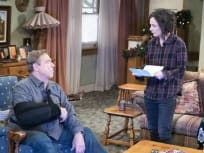 On The Conners Season 1 Episode 1, a surprising turn of events forces the Conners to face the struggles of life in Lanford in a way they never have before.